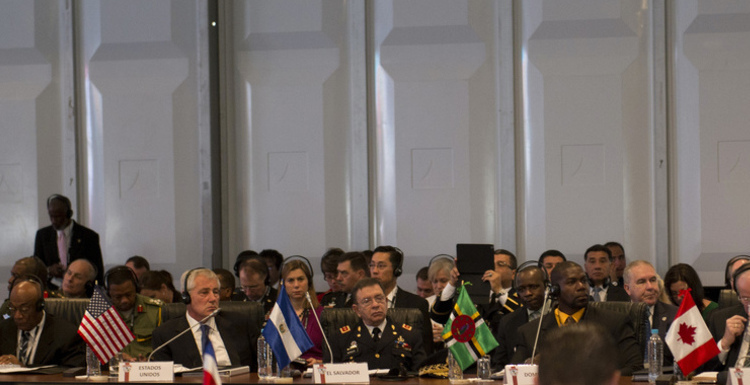 Thirty-four defense ministers from the Western hemisphere attended the 11th Conference of the Defense Ministers of the Americas (CDMA) in Arequipa, Peru from October 12-14. Among the ministers was United States (U.S.) Secretary of Defense, Chuck Hagel. Prior to this conference, Secretary Hagel traveled to Colombia and Chile to strengthen existing ties, though no one could describe him as a long-time leader in Latin American affairs. Hagel arrived to Colombia on October 9 to meet with President Juan Manuel Santos and Defense Minister Juan Carlos Pinzón. The visit reaffirmed diplomatic relations and continued U.S. support for Colombia’s peace negotiations with the Revolutionary Armed Forces of Colombia (FARC) and the National Liberation Army (ELN) guerrilla movements. Furthermore, as emphasized by Hagel, Colombia’s ongoing development in exporting military security expertise to more than forty nations make it a significant partner to the U.S. on security matters. In their meeting, special attention was given to the security threat posed by the Islamic State (IS) in Iraq and Syria. On October 11, Hagel went to Chile to meet with President Michelle Bachelet, Foreign Minister Heraldo Muñoz, and Defense Minister Jorge Burgos. This year, Chile and the U.S. celebrated the 10th anniversary of the U.S.- Chile Free Trade Agreement. The U.S. is eager to expand its relations with Chile by deepening their collaboration on matters of security and international peace building. Additionally, Hagel applauded Chile’s impressive leadership in search and rescue cooperation in the region. During the CDMA conference in Peru, which began on October 12 and ended on October 14, Hagel visibly tried to reinforce bilateral and multilateral relations with other Latin American countries. For instance, he expressed his admiration for the Mexican military, an important U.S. partner in the hemisphere. The agenda of the conference focused on four subjects. First, strengthen the role of CDMA ministries of defense for coordinating inter-American military collaboration; second, optimize the quality of military health systems; third, improve the cooperation in search and rescue capacities in the region; and fourth, discuss the possible participation of Armed Forces in environmental protection. Surprisingly, though drug trafficking and organized crime are major longstanding problems in Latin America, these items were not discussed at the conference. This seemed to be an extraordinary omission, considering the mass-influx of undocumented Central American children to the U.S. this past summer, who fled violent communities marked by organized crime. Other matters pertinent to the region not on the agenda included the infamous, unpopular U.S. War on Drugs and the U.S. War on Terror. These U.S. efforts have been heavily deployed in Colombia, the Andean region, and Central America. On October 8, Rear Admiral Kirby from the U.S. Pentagon declared that Secretary Hagel would, “stress the United States’ commitment to partnerships that strengthen national defense institutions and confront hemispheric security challenges, including ungoverned spaces, organized crime, and narcotics trafficking.” However, Hagel’s prepared speech for the CDMA Conference on October 13 focused on the climate challenges facing the hemisphere, and did not mention crime, drugs, or related human rights violations. There is widespread acknowledgement that the U.S. War on Drugs has been a failure. Various newspapers, scholars, and organizations around the world have criticized this U.S. effort, including The New York Times, Noam Chomsky, and Amnesty International. Oliver Villar and Drew Cottle critically reviewed the U.S. War on Drugs and its impact on Latin America in 2011 through their book, based on ten years of research, titled, “Cocaine, Death Squads and the War on Terror: U.S. Imperialism and Class Struggle in Colombia”. Ultimately, the 11th CDMA conference explored significant topics. However, there comes a point when the U.S. government will need to publicly address the more controversial military and security issues currently troubling Latin America. These topics either must be on the 12th CDMA agenda, or be discussed beforehand so the U.S. can address the lasting effects of its involvement in these matters. 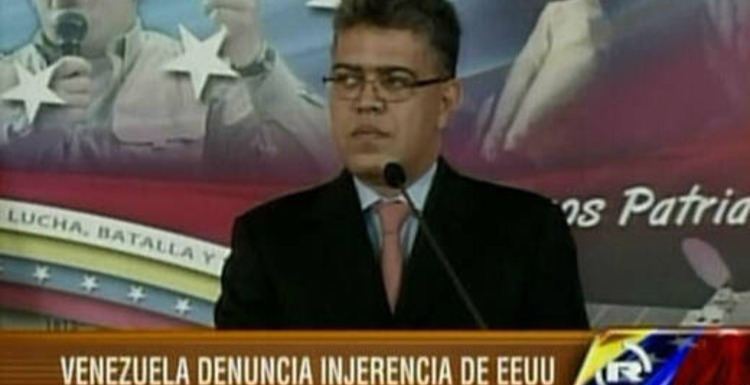 The U.S. should not excise such significant talking points from the speeches delivered by its officials. There must be broad multilateral cooperation if the entire region is to move into an era of peace and prosperity. Oliver Villar and Drew Cottle. Cocaine, Death Squads and the War on Terror, U.S. Imperialism and Class Struggle in Colombia, New York: Monthly Review Press, 2011.